Because tractor drawn aerials have the capability to jackknife there are warning systems for both the driver and tiller operator to alert them that they are approaching a jackknife position. When the system senses that the tractor and trailer are at a preset angle to each other the alarm will activate. 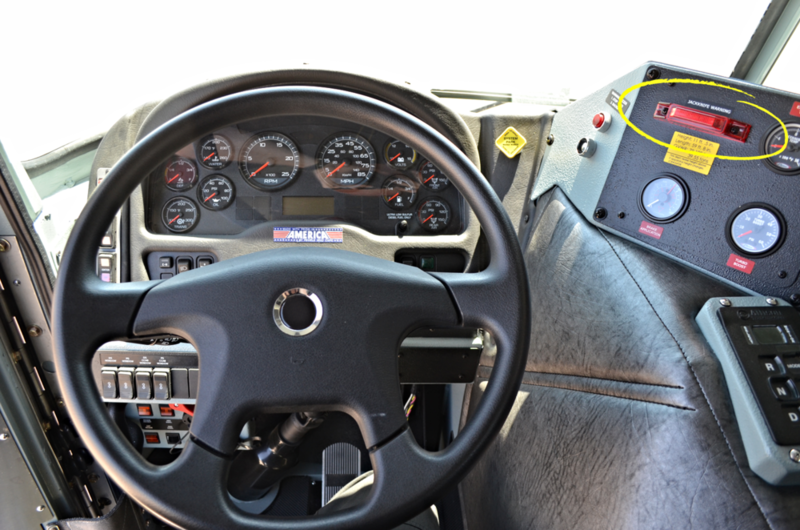 The warning system signals the driver and tiller operator with both an audible and visual alarm. 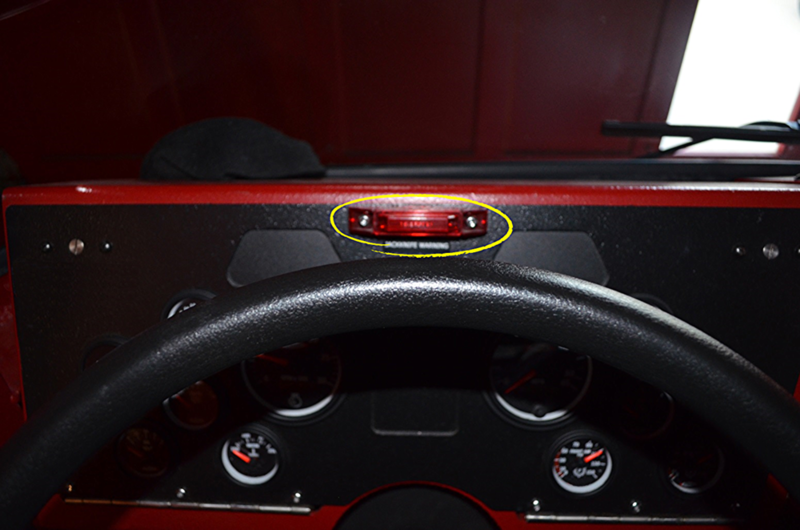 The jackknife visual alarm is a light that is located in the cab and will illuminate when the alarm is triggered. It’s very important that the driver is alerted to the potential that the apparatus is approaching the jackknife position; therefore it is imperative that the light is located where the driver can clearly see it. When driving in tight, diminished clearance situations, the driver will be heavily concentrating on their surroundings and may not be aware that the apparatus is close to the jackknife position. If the light is not easily viewable and the driver is focused on the circumstances around them, they may not see that the light has activated. 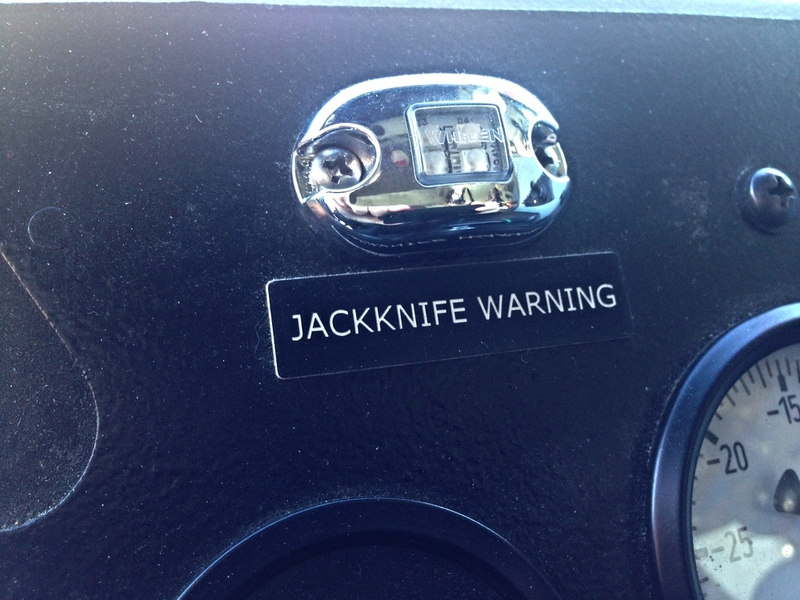 The brightness of the jackknife warning light is just as important as its location. It’s essential that the light illuminates bright enough to get the attention of the driver when it is activated. Again, if the apparatus is getting close to the jackknife position the driver will generally be deeply absorbed in maneuvering the tractor and may not have the capacity to observe the light. The jackknife audible alarm is just one of many audible alarms on a tractor drawn aerial. 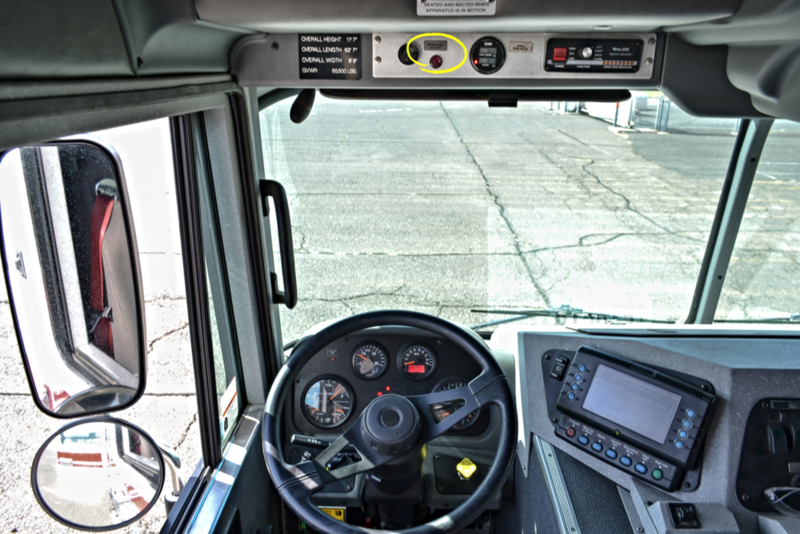 Actions that will produce an audible alarm are things like compartment open, apparatus doors open, seatbelt alarm, buzzer system for driver and tiller operator, and tiller operator not seated. 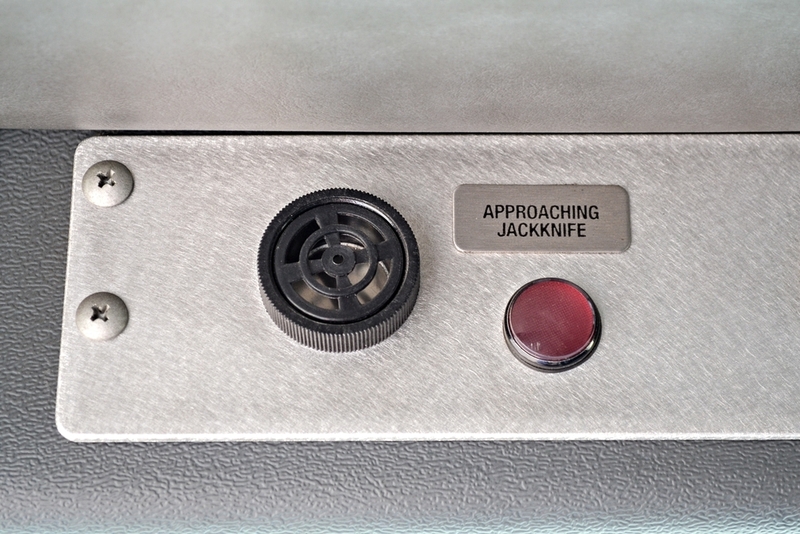 It is essential during the design phase to specify that the jackknife audible alarm remain a separate sound than the rest of the warning alarms.